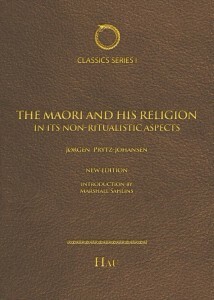 In his rediscovered magnum opus, Jørgen Prytz-Johansen reveals an unsurpassed study in anthropological keywords where traditional texts become the tool-kit for unlocking the moral totality grounding Maori society. Through an exhilarating immersion into a non-Western philosophical system and the universe of mana-terms, this volume offers a signal contribution to the study of religious and ethical cosmologies. Prytz-Johansen’s memorable musings of the kinship “I,” “life” and vitality, mana, gifts, fortune, and tapu will continue to challenge the imagination of anthropologists, philosophers, and historians of religion for years to come. Quietly famous among Polynesianists, Prytz-Johansen’s classic has a strange timeliness for ethnographers today, many of its old-school values standing well in front of our cutting edge. His discussion of kinship as “living together,” his comments on the cultural ordering of historical temporality, his inquiry into moral ethnopsychology, and his idea of the expansiveness of what counts as “religion,” were all decades ahead of his time. These arguments are developed through a steady stream of arresting turns of phrase, and a fine sensitivity to the power of stories to convey cultural complexity. Anthropologists of all generations and studying all topics will be repaid generously by engagement with this remarkable text. In defining the problems and potentials of portraying a society and its conceptual repertoire through its texts, I find myself continually returning to three towering models: Max Weber’s Ancient Judaism, Franz Boas’ Tsimshian Mythology, and J. Prytz-Johansen’s The Maori and His Religion. The last I regard as the single most illuminating work on traditional Maori religion and its social context. 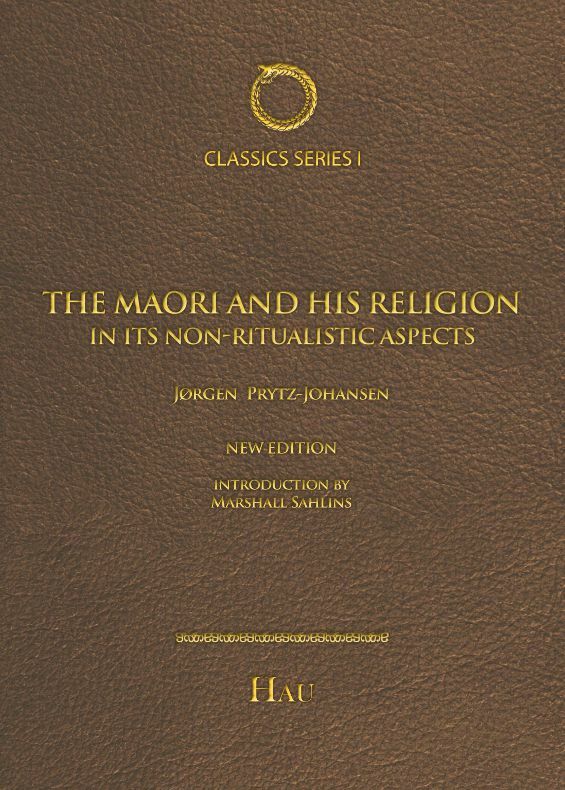 The Maori and his Religion is a fascinating assemblage of early recorded accounts of the Maori. It draws on a wide range of credible writings, providing an insightful approximation of the genealogically-ordered belief system apparent at time of early European contact. It is an invaluable reference for any scholars seeking to delve deeper into the wealth of early ethnographic Maori publications. If Immanuel Kant was able to sit with the Maori experts in an ancient school of learning and talk over cosmological questions, one would wish for J. Prytz-Johansen to be their scribe. By immersing himself in old Maori texts, this Danish scholar acquired remarkable insights into their intricate philosophies. This book is an extraordinary feat of ontological teleportation.